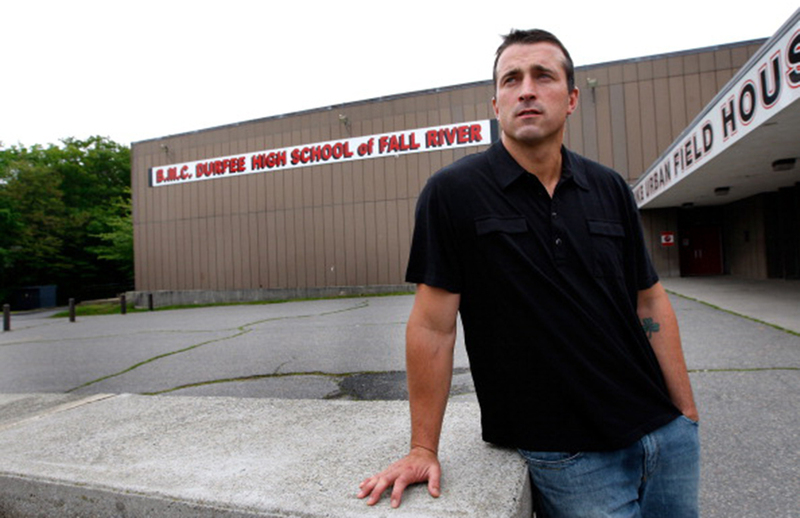 Today Chris Herren is an inspiration to people who might be fighting some type of illness or addiction. 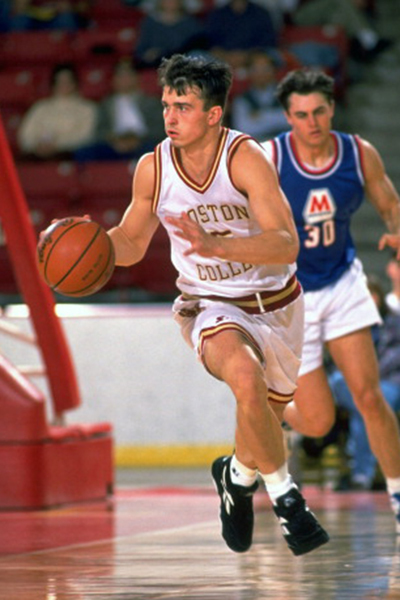 Going back 20-plus years ago, Herren was a basketball prodigy from Fall River, Mass., who had the weight of the world on his shoulders. He had the attention of the national and local Massachusetts media surrounding his game. Looking back at everything, it seemed like a lot for someone to deal with at such a young age. 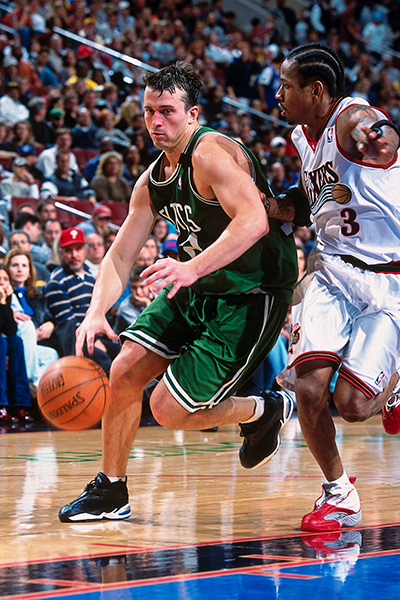 Although a five-star prospect on the court, Herren secretly battled an illness off of it: addiction. This would take him to the lowest of lows and hit him and his family harder than anything imaginable. 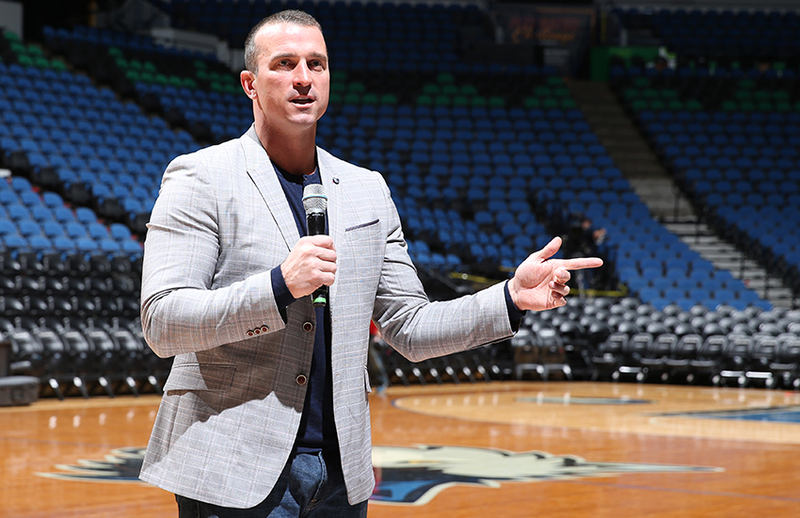 Now a motivational speaker delivering his message of staying clean, Herren spoke about his heights as a basketball player and struggling with drug dependence while trying to keep his basketball career intact and family together. In New York, basketball is king. The same can be said for Fall River, Mass. What was life like growing up? It’s a tough blue-collar, basketball community; basketball is the heartbeat to the city. I was fortunate enough to grow up in a culture where there was a lot of attention and respect for the game of basketball based on tradition. You come from a family of athletes. Your brother and even your grandfather were great athletes. Did you feel any pressure growing up in the shadow of your brother Mike? Of course, there was always pressure. My brother was basically a trailblazer. He was player of the year in Massachusetts and in New England. He won two state championships, so there were some high expectations for me. Back then, there was no internet, so the only game in town was Durfee basketball. When you play in front of four thousand people at 14 years old, it was an intense environment. Who were some of your favorite players while growing up? I was always all Celtics, so it’s Larry Bird, Danny Ainge, Robert Parish and Kevin McHale. I looked up to them, they all played so hard on the court. 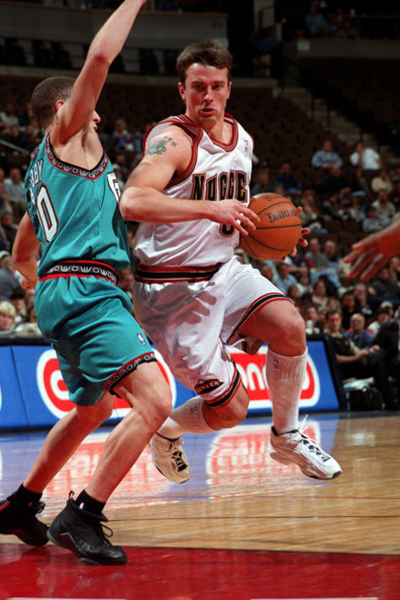 Rex Chapman was always someone I watched growing up. I admired and watched Dr. J and Bobby Jones for the Sixers. I was an NBA fan back then. There were so many rivalries going on, it was a great time to be a basketball fan. For a lot of young people, they start to deal with drugs and alcohol early in life for multiple reasons. How early in life did it happen to you? I started drinking and smoking when I was 14 years old. It wasn’t an everyday or weekend thing because I was busy traveling the country playing basketball, but if I was in town, drugs and alcohol would be something that I would be regularly engaged in. When it comes to addiction and prevention, I think we put way too much emphasis on how addicts end their lives rather than how it begins, and drinking and smoking at 14 years old was my beginning. Do you feel that early usage of drugs can follow a person into adulthood? Of course, for some we need more, and for some it’s never enough. For some of us, we switched up what we used because whatever we used before wasn’t doing the trick anymore. There are people wired like me where the substance you started with doesn’t do anything for you so you just move to the next one. What lead you to attending Boston College? I was a local kid and I wanted to represent Boston. I wanted to stay close to home and win in Boston. They were coming off of an amazing run with Billy Curley and Howard Eisley. I wanted to follow them. My career was short-lived there. I broke my wrist and that was my initial introduction into cocaine, and within five months I was kicked out of Boston College and ended up transferring to Fresno State. How did the failed drug test at Boston College affect you and your family? It was a label. It was a stigma that was put on me at a young age. Very rarely do you hear publicly about people struggling with this out in the open at such a young age. To some people, I was a train wreck, a waste of talent that had no comeback in him. To others like Coach Jerry Tarkanian, they saw a second chance, and a 14-year body of work that deserved another go, and I thank God every day that Jerry Tarkanian gave me that chance. Coach Tarkanian always had a reputation for giving troubled players a second chance at playing basketball. What was it like playing for him? Everyday you walk into the gym with a living legend. It was special, he was larger than life. Nothing fazed him, he had seen it and done it all. 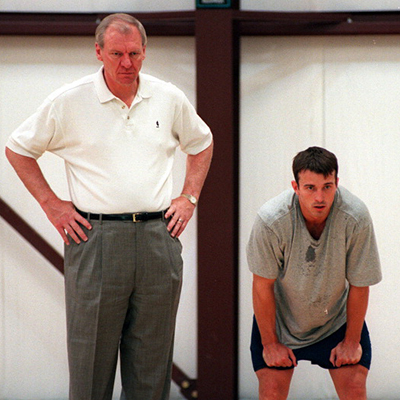 When you stepped into the gym, you wanted to impress him, because so many great players has come across his path. Do you have any special memories while playing at Fresno State? I was always good at playing in Hawaii for some reason. It was always the last game of the regular season and it was always important because we needed to win the conference. I think I averaged about 30 points there. I know I had back-to-back 35-point games there. I loved the environment, the fans and the atmosphere. That is probably my best memory of playing at Fresno. Unfortunately, during your time at Fresno you failed another drug test. How did that setback help shape you going forward? At that point, I was still young and naive and uneducated about addiction. When you’re that age, it’s hard to see yourself stopping using drugs and alcohol for the rest of your life. I sat in that treatment center at 21 years old and I truly thought I wasn’t as bad as the people I was in there with. It was an opportunity, and in hindsight, it was the biggest opportunity in my life that I blew. Before the 1999 Draft, many people had you as a mid-first round pick. However, on draft night, you got drafted in the second round by the Nuggets. Do you feel that your past troubles are what led to your fall in the draft? Without a doubt. If it wasn’t for Dan Issel I probably wouldn’t have been drafted. It was a lot of general managers that didn’t see that I had it in me. I was lucky and blessed to end up in a place like Denver. When you look back, that draft was very point guard heavy with Andre Miller, Steve Francis, Jason Terry and Baron Davis. I was lucky enough to slide to 33 and end up in Denver with the veterans that were on that team. What was your initial reaction when you found out that you got drafted? I was in the house with my wife. I was nervous, so I didn’t go to the draft party that I had in my home town. When I received the phone call, I knew that my turn was coming up. It was special, it was truly special. It was a phone call that I never saw coming. In Denver, did you feel that you were away from all the distractions of your hometown? How did the draft affect your life? I was distracted wherever I went because I was untreated. My whole life people told me I needed to get out of a certain place and treat myself. My only regret looking back is that I didn’t cherish the moment, I didn’t live in the day, I didn’t look around me and have gratitude. It was special, but not special enough for me. How were you received in the locker room once you reported to the Nuggets? I think how all rookies were perceived: young and naive, sometimes misled and misguided, but I was lucky enough to have veterans in that locker room that took an interest in me like Popeye Jones, George McCloud, Chauncey Billups and Antonio McDyess. I had an unbelievable group of dudes in that locker room. What do you remember most about your rookie season? Just being around those veterans, and having those types of quality guys around me. You can’t find better people out there than Popeye Jones and Antonio McDyess. In hindsight, it was the best possible situation that I could’ve been drafted into. A year later you got traded to your hometown Celtics. That must’ve been a dream come true. How did you feel about the trade to Boston? I didn’t feel good about it. I was struggling with painkillers. It wasn’t something that was celebrated because I had a lot of fear about going home for multiple reasons. I knew with the secret that I was living with, it wasn’t going to end well. Drugs will have people doing a lot of things that they never would do otherwise. 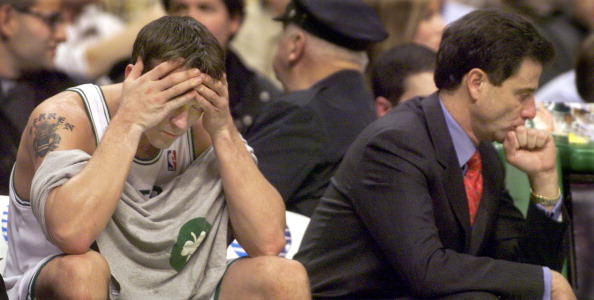 I read in your book that you waited outside in the rain prior to a game in your Celtics warmups waiting for your Oxycontin dealer to come. What was going on that day? I had never heard of the drug when I was first introduced to it. I was under the impression that it was just a painkiller. I had no idea how strong it was. I had no idea what that feeling would lead to. Outside the Fleet Center, Boston Garden, whatever you want to call it, I was sick and the body can’t respond unless you have it. The guy who had it was outside the arena waiting, so I went outside to the parking lot, in my warmups, and got it because without it, there was no playing. How did the birth of your children change your outlook on life? When you’re in the middle of an addiction, not only does it change your life, but it changes everyone around you. You can’t really sit back and enjoy these precious gifts because you’re suffering from a sickness that trumps all of it. I’ve been sober for nine years; that’s half my son’s life. Half of his life I’ve been under the influence, the other half I’ve been sober, and it’s the best nine years of all our lives. While you were struggling did anyone try to help you with your addiction? There were multiple times that people reached out and tried to help. I was just so sick and ashamed of it that I never wanted to talk about it. I lived in constant fear that other people would find out how bad I was and how much I was struggling. I was a pro basketball player two hours a day and a suffering drug addict the other 22 hours. Talk about the time you overdosed in a car in the parking lot of a Dunkin Donuts. What was racing through your mind as you left the hospital? It was over. I went from people suspecting me of taking painkillers to a full blown heroin addict, to someone who was shooting it. It wasn’t a secret anymore, you are who you are. Every single pill I ever swallowed, every needle I ever stuck in my arm, I took a chance at dying. I chased death for a feeling. Was this episode your breaking point that helped you get clean? Nah, I went on to shoot heroin for six more years. When I was 32 years old, my son was 9, my daughter was 6, and my wife just gave birth to our third child, and a man looked me in the eye and told me that I should play dead for them. He said if I fake my death and disappear, they would be better off without me in their lives, and from that moment on I put the work in. I went after my recovery like I went after basketball. It was a commitment. It’s time, it’s energy, effort, and discipline; all the things that I had inside of me from being a professional basketball player. No matter where you are in life and no matter how low you get, if you’re alive, there are possibilities. There’s a comeback, and time heals everything. People ask me if I miss basketball and I tell them I wake every single morning and I have to play in the biggest game of my life. Every single day I have to get a win, and a win is to stay sober.